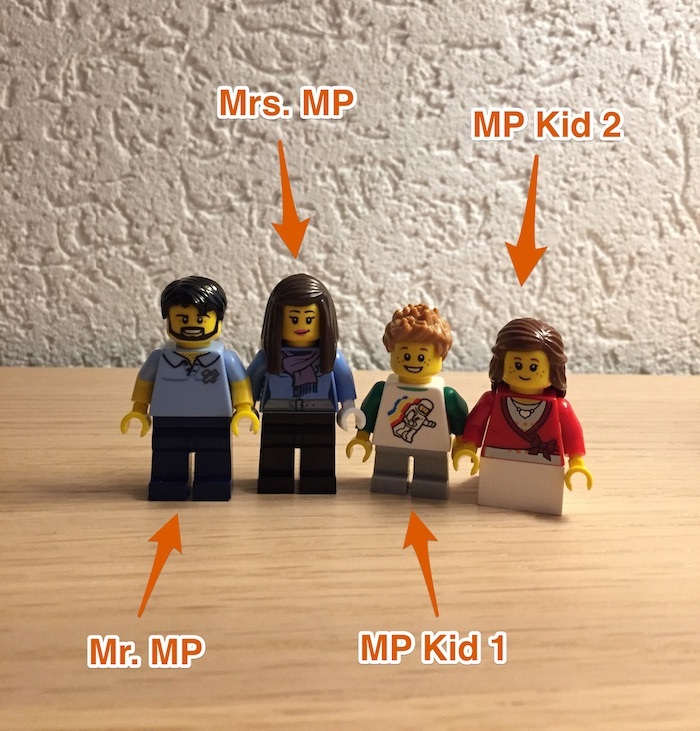 Mustachian Post - Who is MP? We are a couple in our thirties, and have two kids that fill our lives with happiness. 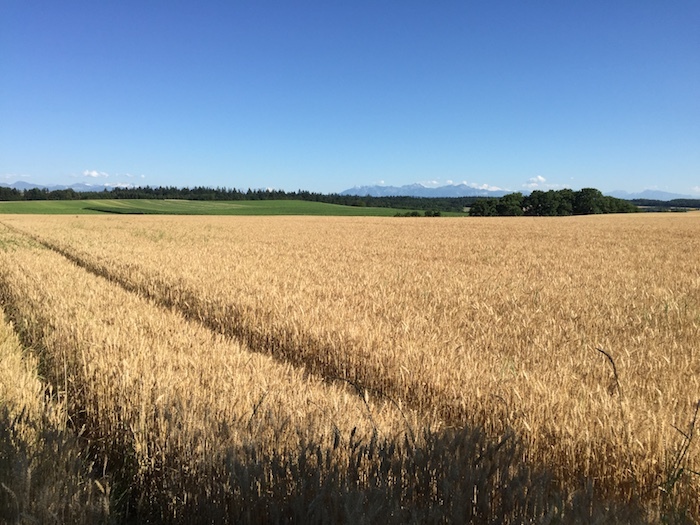 We reside in the countryside, in a pretty corner of Swiss Romandie between lake, forests, and mountains. Thanks to a frugal lifestyle, we were able to complete our first life project which was to become homeowner in Switzerland. Our second major project is to reach financial independence by 40. It's me (MP) who is behind each of the articles. I write about financial independence from a Swiss point of view. My favorite subjects are on the one hand practical cases such as how to manage your money with a budget or how to invest to achieve early retirement by 40, and on the other hand those more conceptual such as minimalism or essentialism. My philosophy can be summarized as follows: "Life is a game, and it's up to you to define its rules." Applied to personal finance, this latter pushed me to think outside the box with this goal of financial independence. A goal that, once reached, will allow us to have time to explore other passions and aspirations, as well as to discover the world. If you recognize yourself in these points, then welcome to the Financial Independence and Early Retirement Swiss Community. On this blog and its associated forum, you will find the keys to a wealthy, happy, and meaningful life! What's the best online broker as a Swiss investor? Let's start with my dear wife, Mrs MP, whom I define as the social element of our couple: it's her who plans our weekends, who invites people spontaneously on a weekday evening, which develops our network by getting involved in our village, and who, above all, likes to please others. So it's not surprising that she likes to cook (and she's so good at it!) because what's better than a good meal to share quality time with family or friends. It's said that the opposites attract, and it's true in our case if we add to her portrait the "impulsive" and "emotional" character traits that I liked from the first day on. She works in an area where she can leverage all these qualities. After the birth of our children, she switched to part-time so that she could enjoy them as much as possible. On my side, I'm a rational and pragmatic person. I'm grateful to have met my wife who brings this social thing into my life (because without her I think I'd be a monk), although I appreciate to have one or two weekends to relax and recharge our batteries. In our couple, I'm the geek and optimizer who is always looking to increase our savings rate by a small extra percent. At work, I'm lucky to have a pleasant and motivating job, with flexible schedules, which allows me to play with our two kids a lot. 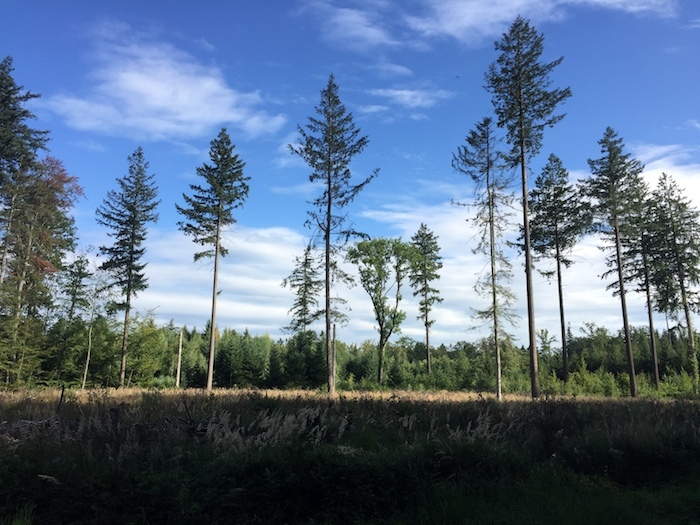 Another element that often comes up in the subjects and photos of the blog is that I fell in love with nature and great spaces when I was young, and the simple fact of seeing the blue of a lake or the green of a forest makes me happy. This explains the many references to my beloved country that is the Canada. Our two children are my center of gravity. They bring me back to reality when I'm overwhelmed by my job or lose myself in blogposts ideas. They have this power to live in the present moment that make spending time with them well worth any meditation session! I try to provide them with the educational bases that I received (included the financial ones), and to add my dose of financial independence on top of them. They're really happy to have moved into the countryside because they're so much more free. Before, we often had to be with them when they played outside (as we lived in the city), but now it's more like "T'chô mum, I go play with my friends!" Both Mrs MP and myself have grown up in the countryside, and we're delighted to be able to offer our children the same lifestyle: being surrounded by forests and mountains, and having closer and deeper contacts with people (vs. the often individualistic and shallow side of cities). I learned the definition of the word "debt" as a synonymous of bad financial behavior, except to buy a house. In fact, we didn't even talk much about it with my parents because it was obvious that consumer or car loans were nothing but a recipe for sinking into precariousness. At the time, I did not understand why, but I knew that a debt was something harmful. I still remember the purchase of my first car: my father had lent me some cash because he preferred to help me than to see me be cheated by a bank. For my second car, I couldn't resist and offered myself a powerful car that I'd wanted for so many years. This was my first and last car loan. My father was right, but I had to make this first grown-up mistake on my own to understand what he meant: nobody wants to pay 10% of interests for something that only brings ten minutes of pleasure per month, and depreciates as the worst investment! Nevertheless, like most adulthood people, I lived from paycheck to paycheck, hardly ever saved, and went through events without questioning any expense. The only dream I had that required a lot of money (besides buying a Tesla) was to become a homeowner; I thought it would come as if by magic. After having dreamed to become rich until the quarter of my life, I realized that the CHF wouldn't fall from the sky, and that the only one who could change something was me. So I started to look for a budgeting tool to better manage and plan our finances in order that we save seriously - since nobody wanted to do it for us! This is where I discovered YNAB, which then led me to the concept of financial independence and early retirement (aka FIRE). I was immediately hooked. I began to read everything I found on the subject as I'd finally found a way to take control of our (financial) life to make it what we wanted. I still remember the things I'd like to do the day when we wouldn't have to work anymore to make a living. The first, quite simple, would be to have the time to take a nap in the middle of the week while everyone would go back to work after eating a tiny sandwich between two meetings. Another visualization that I remember took place one morning, when I was leaving home to take the public transport; I had just come across a retired person who was going for a walk in the forest while I was about to start my day in the fast lane... 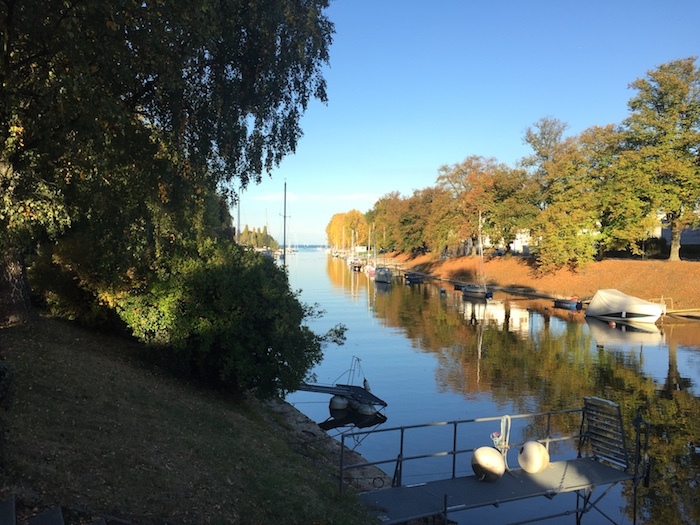 I told myself "The day we are financially independent, I'll take the same bus early in the morning, except that I'll wear sport clothes and that I'll go for a walk in our beautiful Jura from 7 to 9am without the stress to have to go to work afterwards!" 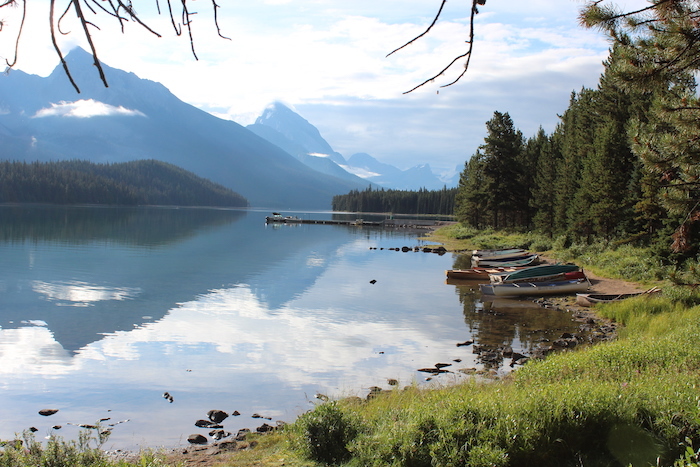 A last one to stay inspired: being able to go to Canada for three months and to enjoy a RV road-trip, without having to worry about work or money. It makes you dream, doesn't it? 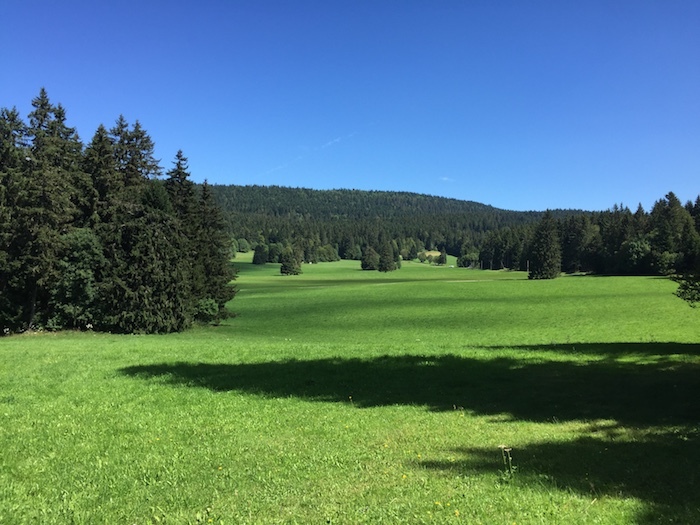 A hike in the Jura mountains on a sunny Tuesday afternoon, that's tempting isn't it? Since this eureka moment in 2014, we have learned to optimize all of our expenses, to put a lot of money aside, to invest this cash on the stock market, and to optimize the taxes we pay. All of this allowed us to buy our home in Switzerland a year earlier than our original plan. Mrs. MP has long thought that financial independence was a sweet dream of mine that would go away at some point, because she always had difficulty (and still today) to imagine that one can really stop working at age 40; but seeing the result of our efforts with this real estate purchase convinced her a bit more that our second big life project was actually possible. Our combined wages have now reached CHF 10'000/month, we have crossed the quarter-million mark, and our average savings rate oscillates around 40% with record peaks up to 73%. We now simply need to be patient while continuing to live a happy and frugal life until the day we can leave our respective jobs. We can't wait for it! 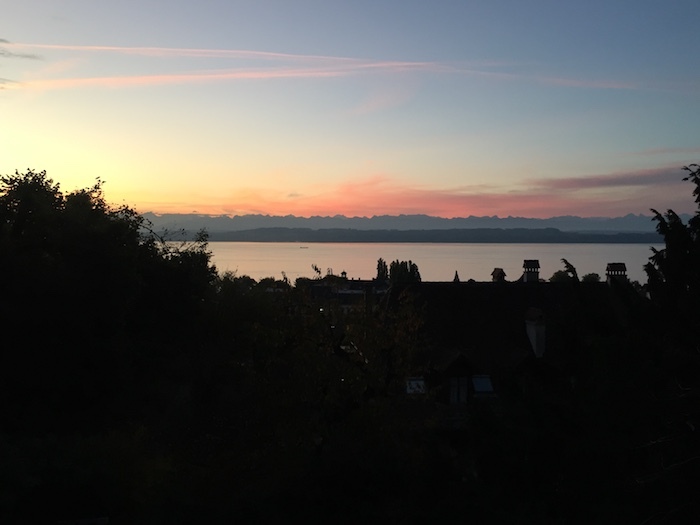 While I was discovering the financial independence topic and beginning to apply certain principles, I soon faced many challenges because there was no FIRE blog focused on Switzerland. How to invest? Which online broker to choose? What portfolio strategy for a Helvetian? Which 3rd pillar? I then created mustachianpost.com to document my Swiss journey towards financial freedom, with the vision of bringing value and inspiring those who would like to follow the same path. In addition to being able to share my learning and experiences, I use writing as a medium to let my creativity (that I long set aside) run wild. Along the way, I realized that a blog was good, but that it was still unilateral. I had plenty of space to express myself as an author, but the only way to speak out for other members of the community was either via the comments or other forums that only had a single discussion thread for Switzerland... I therefore launched a forum dedicated to the Swiss FIRE community. In the past years, my vision of fortune has changed a lot, especially when it comes to what it can bring in a life: time and meaning — vs. the Tesla and other luxury yachts. By interacting with this exceptional FIRE community, I came across new concepts that made me grow and evolve in directions that I'd never have thought taking in my life. One of the major discoveries was minimalism, also called simple living. This way of life can start from various motivations such as anti-consumerism or ecology. My personal motivation was rather the will to reach a state of constant contentment, and get out of this vicious circle of always wanting more of everything to ultimately never be happy nor satisfied. By digging into the subject, I learned techniques such as meditation and gratitude that help me to be more connected with the present moment, more listening to others and myself, and more open to the world and new ideas. Having moved quite a lot and tested different sizes of city, this new state of mind made us settle where we felt it was the best for our family: in the Swiss countryside with its forests, its cow bells, its Vaud accent, and its small shop opened on Sunday mornings! We realize that we are much more fulfilled since we are closer to people, and that we really take the time to enjoy every moment with them. The surrounding nature also helps us a lot to refocus on ourselves compared to big cities and their constant frenzy. About outings, a decade ago, we were more the kind of people who went "shopping" on Saturday afternoons, as if spending money randomly was something "normal" like to go for a walk or work out. Now, the trend is much more focused on relationships with others and outdoor activities with children. And above all, we endeavor to get out of this short-term thinking where one tries to buy his happiness by consuming more and more instead of simply enjoying the one he has at his fingertips! I would never have thought that I would succeed in keeping this blog active for more than a month, and here we are now with a significant number of articles. If you are more of the "do things properly or not at all" kind, I advise you to start with the first post of the blog, and to go up until the last one published to not miss a chance to get wealthier. For the most impatient of you who'd like to know how to get rich, you can read how we manage our budget. This should allow you to set aside some cash fairly quickly. If this is not enough for you, read this pro advice to boost your savings rate. Then, make sure that your bank accounts' setup is optimal so to not let your banks eat up all your savings! After that, you should start to encounter the problem that you have too much money and don't know what to do with it. The ​​financial independence concept relies on the fact that you have to make your money work for you — and not let it sleep under your mattress, so that you no longer need to work for it. I precisely wrote a blogpost dedicated to aspiring investors to explain how to make money on the stock market via Swiss equities and bonds. If you're rather looking for advice on how to adopt a healthier and more genuine lifestyle, then I'd direct you to the category of my books and documentaries' reviews . I write only about the gems I find, and believe me, there are some that will change your life. You'll tell me what you think about them! Thank you for following me in this life experience that is our journey towards financial independence in Switzerland. I love to exchange with people having the same kind of project that are a little bit crazy, so don't hesitate to share yours with me by email, Twitter, or Facebook. And don't forget: "Life is a game, and it's up to you to define its rules. Why wouldn't you start today?"